In 2014, $2.5 billion might have looked like a lofty price tag, but each passing year is proving that “Minecraft” is more than just a game. Microsoft (NASDAQ:MSFT) is no stranger to acquisitions. The company has written big checks within the last decade in order to purchase assets like LinkedIn and Skype, but even with its history of big buyouts, the decision to acquire Minecraft and its developer Mojang for $2.5 billion is one that stands out. Minecraft doesn't have flashy visuals or huge action set pieces. What's more, its underlying technology isn't something that ties into Microsoft's other segments, and shelling out $2.5 billion for a studio dedicated to the ongoing development of a game that first released in 2009 was a bold move. That's especially true because Microsoft has a checkered history when it comes to video game related acquisitions. However, the more time passes since the deal, the more it looks like Microsoft made a smart move. For those unfamiliar with Minecraft, the game is like a virtual sandbox. Players can create their own worlds, socialize, and explore content created by other users. It's sort of like a virtual Lego experience mixed with elements of social media — and the game is enormously popular. Minecraft had sold roughly 50 million copies when Microsoft acquired Mojang in 2014. Today, the title's sales have passed 144 million units, the third most of any game ever — and it looks like there's still a long sales life ahead. Minecraft isn't a fad. It's become a fixture in the gaming world, a sort of genre and platform unto itself, and Mojang's title continues to add to a long list of sales and engagement achievements. The game currently stands as the second-best-selling paid app on iOS according to AppAnnie, and it's putting up great sales on other platforms as well. Minecraft released on Nintendo's 3DS portable console last November and was the system's seventh-best-selling game for that month, its third-best-selling game in December, and its fifth-best-selling game in both January and February. The title was the eighth-best-selling Nintendo Switch game in 2017. Minecraft merchandise and spinoff content have also proven to be hits, with themed bedding, clothing, toy lines, and a YouTube miniseries produced by Mattel representing just a small slice of what's out there across mediums. There's even a big-budget Minecraft film in development. In addition to putting up great sales numbers, Microsoft is using Minecraft to expand into new areas and take advantage of some emerging opportunities. The education-tech space is one area where that dynamic is evident. 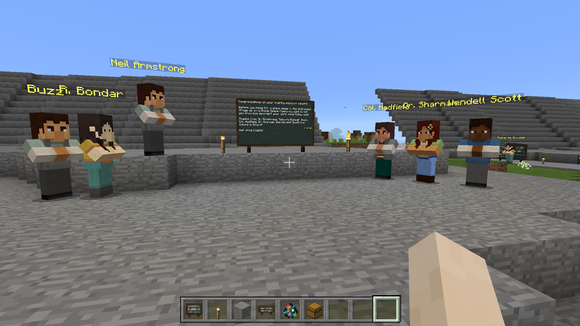 In 2016, Microsoft and Mojang released Minecraft: Education Edition — a version of the hit game designed for classroom use. Tech companies including Microsoft see a lot of opportunity in having a top position in ed tech, and Minecraft has the potential to be a significant asset in the space. Educational video games have been around for decades, but Mojang's magnum opus is unique in that it was already enormously successful before being adapted for teaching use. The game's popularity and flexibility set the stage for continued evolution, with new tools and features being added that shape the broader world of Minecraft. In February, Mojang debuted a chemistry-themed resource pack to Education Edition, and Microsoft also recently announced that an online Minecraft experience had helped teach 85 million people some basic computer coding principles. The Education Edition suite had crossed two million users as of November. With the company charging $5 per student per year, that comes out to annual revenue of $10 million — not a bad start roughly 12 months out from release but still only scratching the surface of potential ed-tech subscription revenue and import. Minecraft: Education Edition also requires an Office365 subscription in order to log in, a move that gives schools another reason to stick with Microsoft's operating system and software suite. 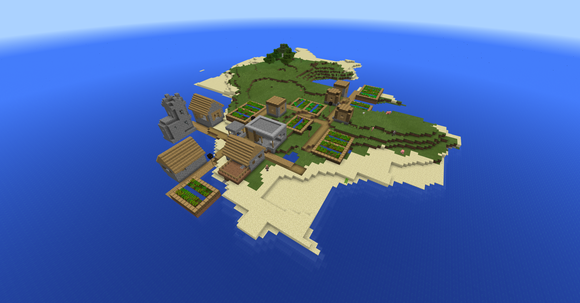 Minecraft has put a Microsoft property on nearly every modern gaming and computing device. At a time when many of the video game industry's big hits are transitioning to a platform agnostic model, that's giving the company some valuable data for future software releases and strengthening its presence on emerging computing platforms. Minecraft is already one of the big software draws for virtual-reality headsets — perhaps the closest thing there is to a killer app in mixed reality at the moment. Along those lines, chief technology officer at Facebook‘s Oculus division and game development legend John Carmack once said that Minecraft was the single most important virtual-reality game. 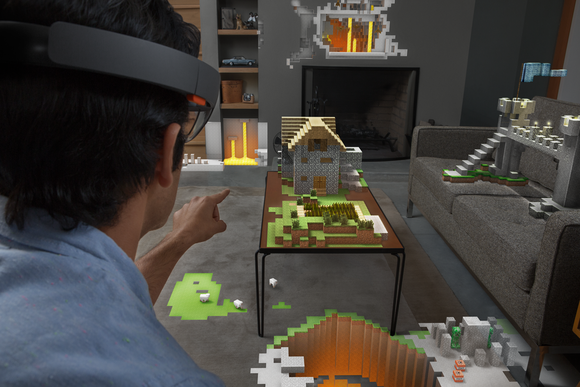 Microsoft has also made the game a part of its own push into the mixed-reality space. One of the first demos for the company's HoloLens augmented-reality headset featured users transposing the game on to real-world surfaces. The HoloLens hardware is still a long way from going mainstream at the consumer level, but Microsoft has also put the game front and center in promoting its Windows Mixed Reality platform. In Minecraft, Microsoft appears to have purchased an asset that will pay for itself in relatively short order and help the company strengthen its business outside of gaming. Mojang reported $126 million in profits on $259 million in sales in 2013. That means that Microsoft paid roughly 20 times Mojang's trailing earnings to acquire the developer in 2014 — a price that's looking pretty nice in light of Minecraft‘s continued performance. The game's sales and margins have likely gotten better since the acquisition based on unit sales growth and the addition of in-game purchases to the title. When you factor in the potential for continued growth and the other ways that the game is an asset to the company, Microsoft made a great move acquiring Minecraft and Mojang. David and Tom just revealed what they believe are the ten best stocks for investors to buy right now… and Microsoft wasn't one of them! That's right — they think these 10 stocks are even better buys.